This 2 bedroom apartment is located in Petit Montrouge and sleeps 6 people. It has WiFi. This 1 bedroom apartment is located in Gros Caillou and sleeps 2 people. It has WiFi. This 1 bedroom apartment is located in Faubourg du Roule and sleeps 6 people. It has cable internet, parking nearby and air conditioning. Located at the centre of Marais, the most historical district of Paris. GROUND FLOOR inside a small inner courtyard (not face the street outside), no need to climb stairs. 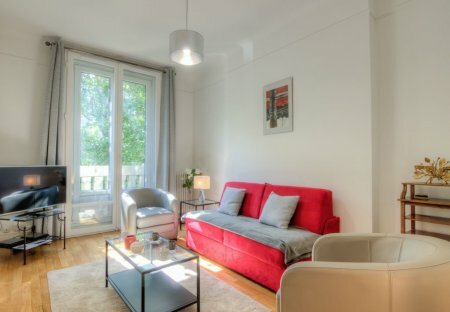 This 1 bedroom apartment is located in Batignolles and sleeps 4 people. It has cable internet. This 1 bedroom apartment is located in Grandes Carrieres and sleeps 3 people. It has cable internet and a garden. This 1 bedroom apartment is located in Clignancourt and sleeps 3 people. It has cable internet. 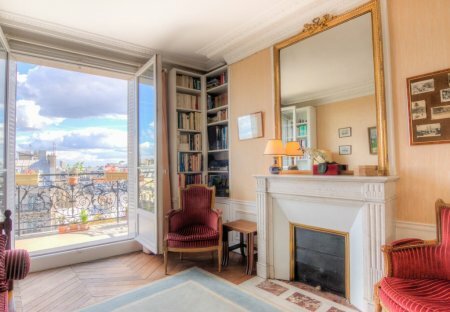 Hello :) I'm renting my flat for your Parisian holidays. It's a 45m2 flat with 1room+1 living room full of light, it's located on the 4th floor without elevator in a living and vibrating neighbourhoo. Paris is the global nucleus of dining, shopping, and European culture. Rent one of our stunning apartments in Paris and you could be enjoing the plethora of highlights that this iconic city has to offer. Take a romantic trip to the top of the infamous Eiffel Tower, stroll along the picturesque banks of the River Seine, see the opera at the opulent Palais Garnier, admire the Gothic architecture of Notre Dame Cathedral, marvel at the famous art in the Louvre, or the magnificence of the Sacré Coeur; the list of things to do in Paris is endless. Of course, no holiday to Paris would be complete without stopping off in one of the cities many boulangeries, patissaries and cafes. Take a wander down the Rue du Faubourg Saint-Honoré which is lined by quintessential French cafes and fashion boutiques. If you love to shop designer, make sure you visit the Louvre and Tuileries District or Avenue Montaigne and the Champs-Elysées.